It sometimes takes special attention to note how much public administration and policy analysis have changed over recent decades. Yet, without this recognition, the field may fail to evolve to meet current needs. The public and nonprofit sectors have undergone a fundamental transition during recent years, driven by the widespread financial stress being faced by all organizations; the digital revolution and globalization; and the associated political polarization that has affected how programs are developed and evolve. As a result, the skills and tools needed for effective public administration and policy analysis have been transformed. For many years, public administration often focused on an established set of topics and “ways in which things were supposed to be done.” Evolution came slowly and revised strategies often were developed through incremental changes in the old. Now, the situation is different. A new world requires revolutionary changes that will often have to break free of the past. It is largely “guaranteed” that such changes will continue, since the underlying factors driving the changes are not likely to “go away” or be weakened. An example can reveal how fundamental changes are needed even in the most basic and routine activities. A standard approach to planning is to define tasks that lead to the specified final results that are desired; prepare task schedules that lead from “here to there” in a reasonable way; and work out how available funds are to be budgeted among tasks and over time. Implementation means following the plan. Evaluation means seeing how the effort turned out, when compared with the plan. Desired program results are likely to shift; tasks no longer fit into an overall plan; and almost always there is not enough money to get the job done. How is planning to be done in such an environment? One strategy is to build flexibility and adaptation into every plan that is established. Instead of choosing rigid end results to be sought in program efforts, a family of outcomes can be considered. An initially-selected end point can be surrounded by other possible results. “Fallback” positions can be defined in the case of money problems, performance flaws or outside interference. Various sets of tasks and budget strategies may be prepared to trace a variety of implementation pathways and redirections. A single target list of tasks is replaced by families of possible tasks. Computers are ideally suited to setting up such multiple pathways and tracking along to see how implementation is proceeding. Variations in budgets can be associated with the various task pathways that may be encountered. There are some major advantages to this more-flexible approach. Administrators and their groups can understand from the start that a program is not fixed but will likely change, requiring adaptation. This will lower stress when change occurs: a new track will already be in place (or available with modification of the closest option that has been anticipated). Groups can “brainstorm” what is going on, to work on revised task lists. A program will then not seem to be as fragile and problems and changes will seem more manageable. There need to be numerous “assessment points” built into the plan, where all task lists are subject to possible revision, based on the circumstances. Personnel strategies can emphasize helping group members prepare, detect and deal with problems and changes. 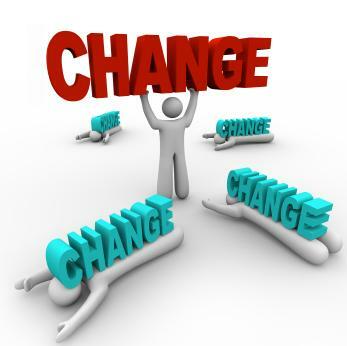 Administrators need to help the people in their organizations prepare for change. This affects personnel both “up and down” the ladder. This is only one example of the ways in which present skills and tools can be revised to adapt to continuing change. Entirely new ways for designing, implementing and evaluating programs may also be considered, and may eventually replace the entire concept of “task definitions” as a way to guide a program. One possible new approach can be based on “auctioning” off assignments—organizational members can “bid” on how they propose to define their activities. Other strategies can involve guidance from “artificial intelligence” computers with a broad base of information to draw upon or social media “networks” that self-define and problem-solve in real time. Adaptive administration requires remaining flexible and “riding the waves” that are inevitable in almost all organizational settings today. Authors: Ferd H. Mitchell and Cheryl C. Mitchell are active in considering how changes in the health care system, due to the Affordable Care Act , continue to require adaptive strategies for almost all health care organizations. Two books that draw upon these studies may be found on a special landing page set up by the publisher. The authors propose a model that they consider “flexible” and adaptable but in reality may simply be a fig leaf for systemically poor strategic planning and strategic management practices. What public service are they in that does not lend itself to defined goals with measurable objectives and practices? Let’s start with the basics and go from macro to micro. Who are your prime stakeholders and were they involved in your strategic planning process? What are the deliverables they require? Are your metrics quantitative or qualitative? Are your KPIs aligned with your metrics for each task process or are they static and/or antiquated? Are you even measuring what you’re managing? I occasionally see mid-level government managers who try to change the puzzle to fit their pieces rather than making their pieces fit the puzzle. They do this because they’re trying to make traditional processes work when they’re unworkable. The “adaptive” label isn’t a bandage for poor strategic management practices!